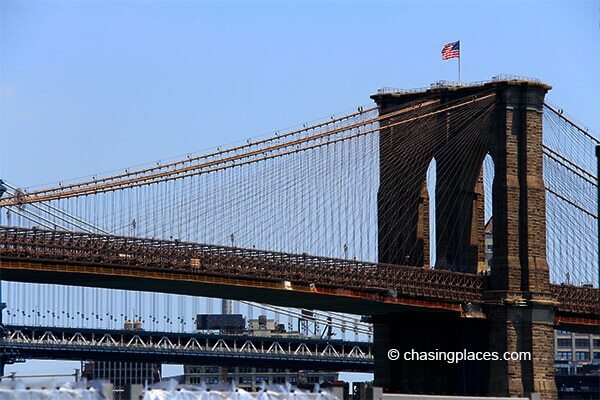 The Brooklyn Bridge is one of the top landmarks in New York City. I cannot emphasize enough that this structure is a must-see while visiting the Big Apple, and it is certainly my favorite (sorry Lady Liberty!). There are many ways to marvel at the Brooklyn Bridge but the one experience that I will not hesitate to recommend is to walk over the bridge! Don’t worry… it’s not a far and grueling walk; and I guarantee that every single step you take in this approximately 1.6 kilometer route is worth it. Why? Because walking over this legendary bridge offers you an INCREDIBLE panoramic view of the Manhattan skyline and the water that surrounds this famous New York Borough. To take advantage of this absolutely free New York City experience, the first thing you have to do is to make it to the right end of the bridge. The breathtaking Brooklyn Bridge crossing should start at its Brooklyn end. This is not so hard if you’re already staying in Brooklyn; but if you’re coming from Manhattan Island, you need to find a way to get over to the Brooklyn side. Of course, there is always the option to walk over the bridge twice — from Manhattan to Brooklyn, and then back to Manhattan. But from our experience, taking the subway to Brooklyn first and then walking over the bridge is more climactic and exciting. 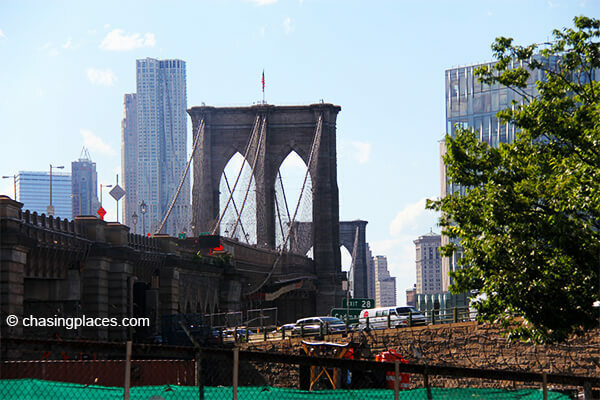 Taking the New York subway also gives you the chance to check the DUMBO neighborhood of Brooklyn. If you think the name DUMBO is funny, it actually makes sense as it stands for “Down Under the Manhattan Bridge Overpass.” DUMBO is arts-inclined and café-filled. It is considered to be a ‘cool’ neighborhood by Brooklyn locals. It is also home to the scenic Brooklyn promenade and the Brooklyn Bridge Park. If you decide to head over to Brooklyn first to cross the Brooklyn Bridge, taking the subway is the fastest way to go about this. You also have the option to take a taxi but with the infamous Manhattan traffic, it may take more than an hour to get there, not to mention the US dollars you have to spend. Yes, navigating the New York subway network may be daunting at the beginning; and the stations are not the most modern or pleasant-looking. But it is reasonably safe during the day, and New Yorkers have no problem utilizing this mode of public transport to get around as it is fast and relatively cheap. 2. Get your tickets from the ticket machine in the subway station. Some subway stations have ticket offices with a person catering to commuters. A subway representative is not always around, so the best way to get your ticket is through the machine. 3. Get the right ticket. Operating the ticket machine is straight forward. Instructions are available in English and Spanish. If you’re sure that you would only want to use the subway twice on the same day, then I suggest you get the “single journey ticket”, which costs $3 each. 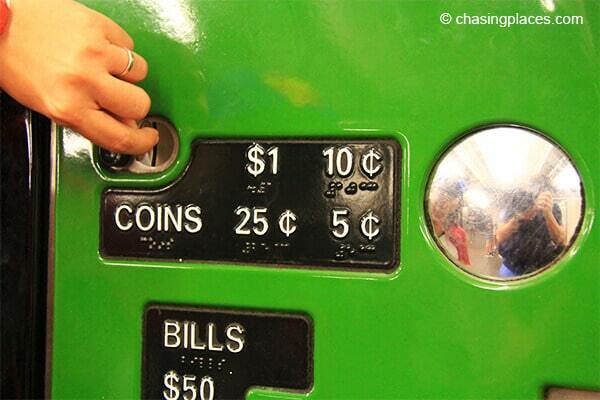 This means you will spend $6 for your little Brooklyn adventure. But if you feel that you will use the subway at least 3 times, then it’s better to get the “Metrocard”. This is a subway card that you can top-up anytime. 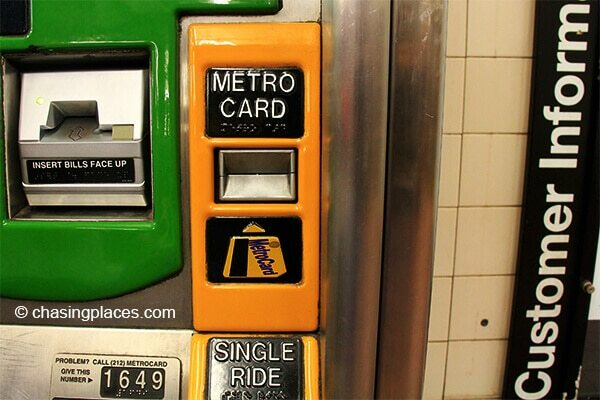 The minimum Metrocard amount you can get is $9. 4. Get on the correct train. Once you have bought your ticket and you’re in the waiting lane, get on the “F” train. The letter will be lit up on the side of the train. Take note that some subway trains are pretty old, and they don’t have the route map lit up like other state-of-the-art trains in other countries. The intercom announcement can also be unclear and muffled, so the best way to see which stop are you at is to look through the door window and check the name of the station posted on the wall of the subway station. It also does not hurt to have a map of the subway system with you. 5. Get off at “York Street Station” This station is the closest one to the Brooklyn Bridge. 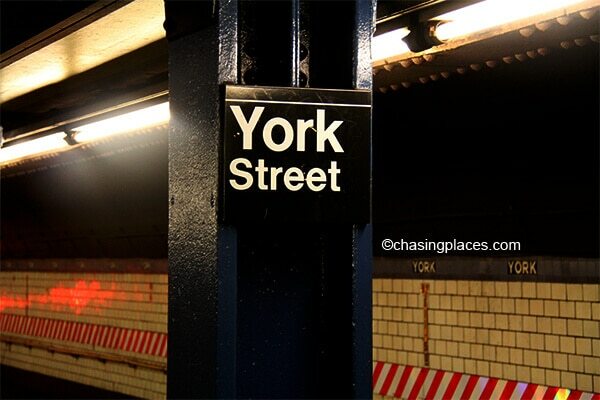 Just look for the York Street Exit. Once you’re out of the station, walk along York Street which leads to the bridge entrance. Here is a Google Map route of the walk to give a clear idea. And just in case you have no access to this route and the internet to help you get to the Brooklyn Bridge entrance, don’t worry. Just get on York Street from the York Street Train Station, and ask a local for directions. It is an easy 9 minute-walk so you should have no problem getting there. So there it is, a step-by-step guide on how to get from Manhattan to the Brooklyn Bridge. Where did we stay while in New York? Here are some links to all of the hotels in New York with these reputable rooms providers if you want to shop around. Hopefully, these can save you some time and money for one of the world’s most expensive ‘accommodation cities’. If you happen to have any additional questions, please feel free to comment below. Safe travels!